Interview with Romanian blogger Constantin Nimigean, about his two online platforms dedicated to contemporary photography: Oitarizme blog and Love Issue magazine. Constantin Nimigean: Oitzarisme website was born on January 15th 2007, after I purchased a digital camera and thought it would be nice to have a webpage for publishing my snapshots. Beside my photos, I was featuring a little story from my neighborhood, a social advertising campaign and few images of an artist found on internet. I was on my personal blog with four articles per week, with text and visual content, mine and other’s. After a while, I began to publish more visual content and less text, more visual art and less advertising, and for the last two years or so more photographic content and less painting or sculpture. Oitzarisme is an invented word and it comes from Oiţă = sheep (my nickname) with the “risme” termination and it might mean “sheep things”. Fabiano Busdraghi: Can you describe why you decided starting a photographic blog and why you still write today? Constantin Nimigean: I rarely write texts among the projects that I feature. I usually quote artist’s statements. 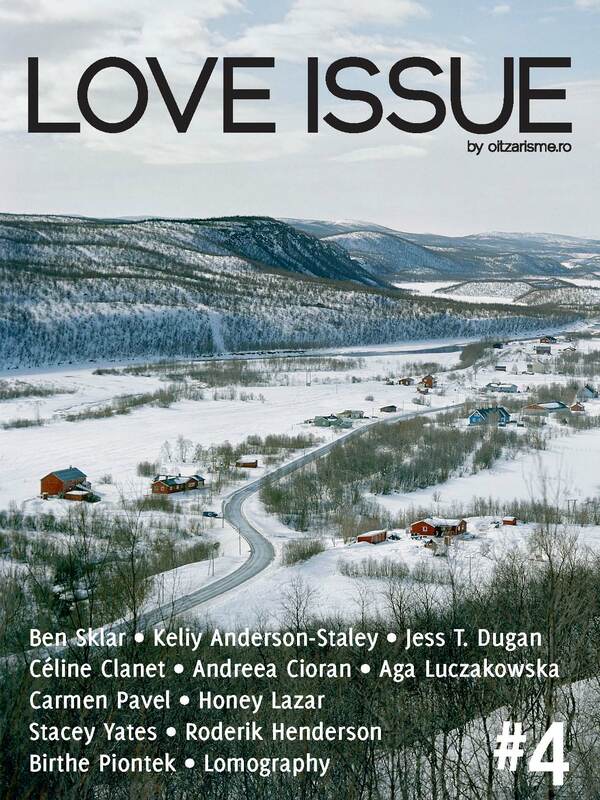 I can say about Oitzarisme that is a host for featuring artists, a virtual gallery for promoting their work with their words about it. I’m not a good writer, yet. Fabiano Busdraghi: Actually my question was not about the act of writing itself, I used the verb “write” but maybe “curate” would be more accurate. So, I think I can rewrite my question like this: why do you curate your blog? 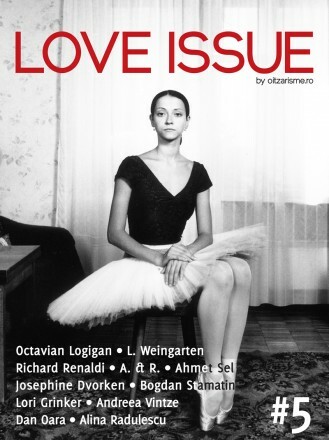 Constantin Nimigean: I do it to educate and inspire young photographers to create photographic projects and also to share what I find interesting to be shared from the big Internet. A friend of mine said that Love Issue can bring peace to people, can open minds and thoughts about people’s life, about little things in their routine that should be more exploited. 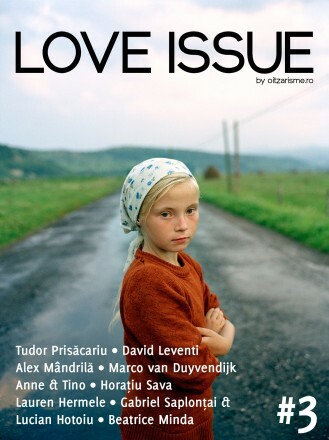 Fabiano Busdraghi: Recently you also started Love Issue, an on-line photographic magazine. 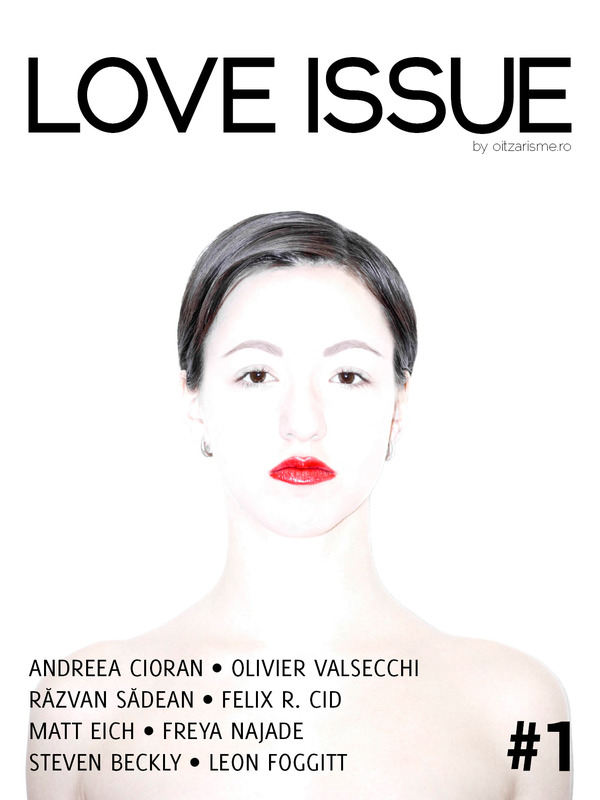 Constantin Nimigean: Love Issue was born on my 4th anniversary of Oitzarisme, when I decided to have a compact product of my blog, a “resume” of what I find interesting on the internet and worth sharing in a virtual graphic context. I launch it every two months and I feature artists with their love related projects and some personal articles also related to the selected theme. The name of Love Issue came after a brainstorming with my girlfriend when I was thinking to feature love and couples in my first issue of “my-no-name-yet” magazine”. 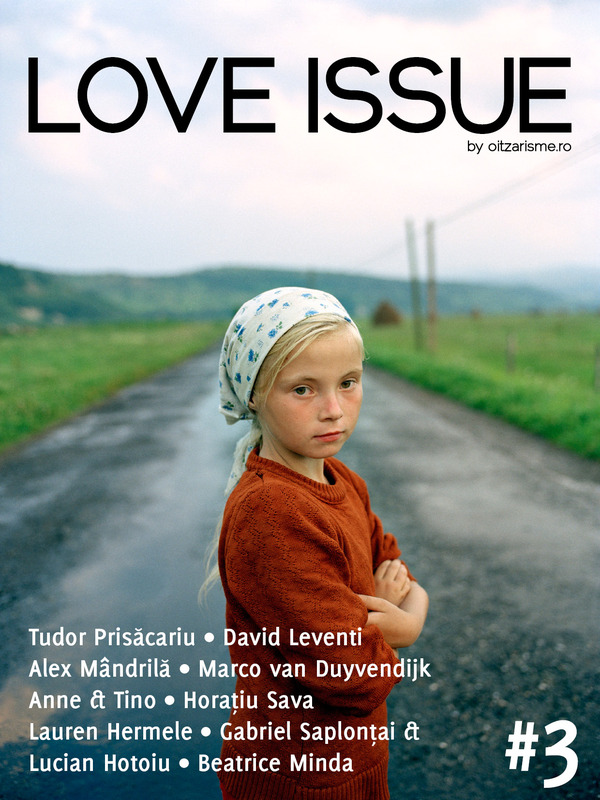 – The first issue of our magazine should be about love. – Yes, she said, Love Issue. And that was it! It’s a photomagazine about love and issues. Fabiano Busdraghi: A provocative question: the Internet is full of photo magazines, why add one more? You already write a blog, why you have the exigency to create another platform instead of publishing more articles directly on your blog? Constantin Nimigean: They will never be enough platforms for promoting photographic projects, especially in Romania, where young photographers should be stimulated to create and not to know more about the technical details of their camera then the subjects that are photographed. So this is the first reason. The second one is that I meet great people with great stories that should be tell somehow and as I have these virtual friends who follow my blog, they trust in me and know that the magazine will show them some great stuff, too. Another reason is that I’ve always dream to have a magazine of my own. Fabiano Busdraghi: Sometime I have the feeling that the real word of expositions, galleries, museums, fairs, etc and the on-line world are completely separated. It seems to me that the real word is more effective in building long term recognition for an artist and especially in converting the diffusion of his work in a real business. Sometime I think that even if Internet allow to spread a photographer name, this not necessary imply that it will be easier for him to sell his work and finally make money from his art. What do you think about all of this? Do you think is really useful for photographers to have their work shown online on blogs? Constantin Nimigean: It’s very important for photographers to be featured online, even if they are not going to gain clients for their prints and money from this. They will gain awareness and there is a boom of art-related blogs, tumblrs, online galleries that are really looking for young photographers on the internet. The real world will be used soon as a confirmation that we still breath and exist, everything will pass on virtual, unfortunately. Fabiano Busdraghi: In my personal case I don’t earn any money thanks to my blog/magazine. I do it because I love photography, and this is my way to learn, to be exposed to all kind of contemporary photography, to keep my brain on and running. It’s much more personal development than business. So, I ask almost the same question as the previous one, but from a different point of view. 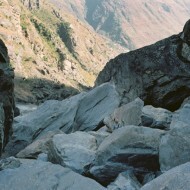 Do you think that it is interesting from blogger to write about photography or they are wasting their time and money? Constantin Nimigean: I don’t earn any money either. Just like you, I’m doing it as a hobby but I’m thinking more and more seriously to transform this hobby in a job. As I said, I rarely write about photography, I’m just a “web-curator” and I want to push out this web thing and make a curatorial career. Romania is in need of photo-editors and agents and there are so many photographers with good series that deserve more publicity. Fabiano Busdraghi: From what you publish on your blog, do you think that contemporary fine art photography is evolving and how? Constantin Nimigean: I don’t really understand the expression “fine art”, my purpose is to look for contemporary photography only. I’m glad that the photographers are aware about the subjects that are overused in series. 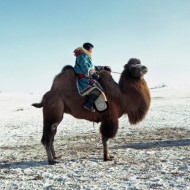 Social projects, war photography, diseases, desert camels, India… these are subjects that are no longer photographed these days. 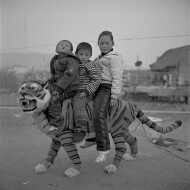 I’m talking about photography as a project for an exhibition and not for social causes or travel projects. Today we have strange people (Asger Carlsen), strange places (Rainbow gathering), and outrageous habits (Adam Krause). We want to be WOW-ed! The internet has over informed us with lots of normal stuff and we want emotions. Fabiano Busdraghi: Is there something you think is missing or under represented in today art photography? What is your wish list for the future? It’s nothing missing in the world art photography, everybody is looking for new and stunning subjects and stories, I’m amazed of how many good quality photo-magazines there are in the world, of how fashion photography is getting more and more artistic and how many companies are organizing workshops, portfolio reviews and photo-fairs. In Romania, these things are moving slow and this is one of my wish list item, to raise the knowledge of contemporary photography among our photographers. 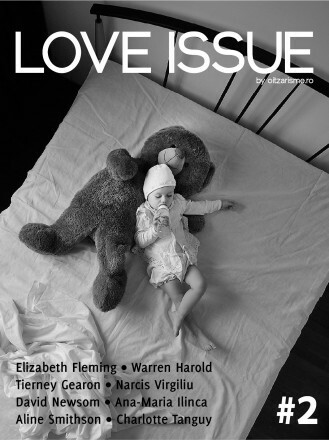 Also, I look forward for the day when Love Issue will be an off-line magazine. For more informations please visit Oitarizme blog and Love Issue magazine. “The internet has over informed us with lots of normal stuff and we want emotions.” I like this sentence. The “alligator hunting” series by Adam Krause is a good example of a wow photography which I like. Personally, but I’could be wrong, I find the Asger Carlsen photos too disturbing. Anyway interesting to see. Thanks for linking.